I am thrilled to be the kickoff blog post for Eisley Jacobs blog tour for her debut novel, Born to be a Dragon, a middle grade fantasy which comes out on July 20! I have the pleasure of being crit partners with Eisley. We met on Twitter almost a year and a half ago, and we learned how to critque and give feedback using each other as guinea pigs. We’ve both grown a lot as writers and as friends. We share each other’s joy and pain. And excitement. I’ll never forget the night Eisley texted me telling me that she’d thought of middle grade story– about dragons. Born to be a Dragon has grown and evolved a lot since that first germ of an idea and it’s been fun to watch. Also, Eisley is hosting an awesome GIVEAWAY! 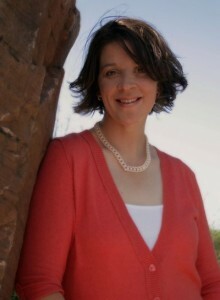 She’s giving away prizes until her release date when she will give away a NOOK! When you’re done reading this post, hop on over to Eisley’s blog so you can enter to win today’s contest– a cute book with paper cut dragons! So what’s Born to be a Dragon about? Join these two unlikely friends as they discover the truth behind a legend so extraordinary it will alter each of their lives… forever! How awesome does her book sound? I wanted you to get a bit of insight into Eisley so she agreed to answer some questions. DGS: Was Born to be a Dragon an idea you sat on and let gel before you started or did it hit you out of no where? EJ: Born to be a dragon really side swiped me out of no where! It wasn’t like I was thinking, “Hey, I should write a middle grade novel today…” or anything. One day I was minding my own business writing a different novel, then next I was reading the first chapters aloud to my kids, who LOVED it and kept asking for mor, more, more! In fact, they are the driving force behind the reason it’s being published first. They want to share it with their friends. DGS: One of the things I love about Born to be a Dragon is that your world building for the dragons on Deglan’s island is incredibly unique. How did you decide to go this direction? EJ: You know a lot of people sit down and world build prior to the writing of a novel. This time around, Deglan is the one who showed me what his island needed to be and the other islands as well. They say your characters speak to you when you write and it’s really true. I would be writing one way, while Deglan and Meia are pushing me to go another. Much like the part in the book where Meia is guiding Deglan. I felt the same way as I wrote the world… it just felt so right and fit in perfect with the story. I also wanted to make sure that even though it was fantasy, this type of adventure could really happen… that is if dragons spoke English and really existed. So it was important to make it real and believable for Deglan and the readers as well. DGS: What made you chose to make Meia, the ten-year-old girl in your story, a foster child? EJ: Excellent question. There is a little girl in my county who has had a rough life as a foster child… I can’t share her name because she is still in the system, but I really wrote this story with her in mind (her name is also four letters long). At the time I was writing this novel, she was in the clutches of yet another failed adoption. My heart really went out to her and I just really felt the pain and anguish of being jostled around and not knowing where she would end up next. And though she has been through the systems worst moment, she is still a precious little girl who wants a family, just like everyone else. I know the outcome for Meia is VERY different from this little foster child’s, but it’s all about the idea that someday someone will come into this child’s life and just make her feel loved. Now I need a tissue. DGS: The changing mark on Deglan’s arm is a symbol of his destiny. Are you a firm believer in destiny and how does it play into your writing? happens that molds you into the person you are. For instance, in the novel, Meia has been in more foster families then she cares to admit, but she chooses to not get bitter about it. And by choosing this attitude, she creates who she is and who she will become. Deglan also chooses to run from the terror that may or may not be coming for him. His choice thrusts him onto a new path that he is “destined” for. But as we find out near the end (NO SPOILER) sometimes it isn’t all about destiny. Sometimes it is, what it is and it leads us onto a path that will continue to shape us and make us who we are. DGS: What other projects can we expect to see from you in the future? EJ: I love this question. Mostly because I am so excited about my upcoming releases! No firm dates yet, but of course Dragons Forever Book Two will come out in the next 6-12 months. And a YA Fantasy called RINGS OF TIME will hopefully makes its way to the publishing floor. I’m also working on another YA Fantasy called PIECES OF ME… no idea when that one will see the light of day. I wish there was more time in the day… because I would really like to write more. DGS: Where can readers purchase Born to be a Dragon? DGS: Where can people find you in the World Wide Web? Now head on over to Eisley’s blog and enter the contest already! Thanks so much for being my first stop on the Scavenger Hunt! I’m so excited for all the winning! 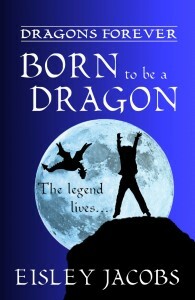 I loved hearing more about how Born To Be A Dragon came about. And after hearing your inspiration Eisley, I need a tissue too! I love hearing about your thoughts on how the book came about and how your kids have played a big part in it. I can’t wait to read the book. I remember when you were first posting WIPfire lines of this project. They were so cute. Can’t wait to see all those lines in context of the entire book. Great to hear some of the background on how you came up with this story! I remember Eisley’s frenzy to finish writing the book before her kids came home from their trip. She literally bubbled with enthusiasm and that enthusiasm for the project shows in every aspect; the words, the cover, etc. I’ve enjoyed watching the process from start to finish. Can’t wait for the book to read!!! Yes, I want to read it as much as the kiddos!!!! How neat to learn not only about the book but also about how it came about. Thank you for taking the time to give us this little peak into this adventure! I SO can not wait to read the book!!! I love to read and can’t wait to read this book and share it with my kids!!! It is so neat to see some of the inspiration that goes into a story. I appreciate knowing the inspiration for the story. It will make reading the book much more interesting.